The history of second oldest sparkling wine–producing house in Saumur, the Maine-et-Loire department, western France, starts in 1851 with young and venturesome Etienne Bouvet. 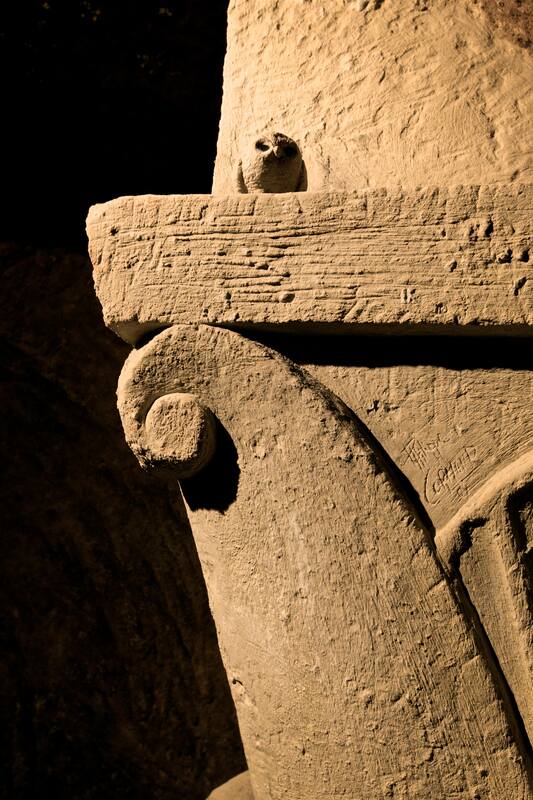 At the age of 23, together with his wife Celestine Ladubay he bought 8 kilometres of underground galleries in Saint-Hilaire-Saint-Florent, and used them as cellars to create a winery named Bouvet-Ladubay. Etienne’s commitment and dedication, along with his life motto: “Excellence!” brought elegance and prestige into the wine industry. He was a visionary founder erecting immense buildings to place his production; he installed an electric plant to illuminate his underground cellars, his mansions and châteaux. His employees were provided not only with lodging but also a small theatre to offer them access and exposure to the arts. By 1890, Bouvet-Ladubay had become France’s largest producer of méthode traditionnelle wines. In 1932 Etienne Bouvet’s descendants sold the firm to Justin Marcel Monmousseau, grandfather of the current CEO, whose family retained ownership until 1974, when it was taken under the wing of the Taittinger group as a subsidiary for the next 30 years. Since 2006 Bouvet-Ladubay belongs to the Indian Group United Breweries and its Chairman, Dr Vijay Mallya, has chosen to pursue company’s family spirit. The undoubtedly unique character of Bruts de Loire produced by Bouvet-Ladubay comes from sourcing the Chenin Blanc grapes, indigenous for the Loire Valley, from different winegrowers and blending them with the small amount of Chardonnay grape or Cabernet Franc for rosé. For over ninety years and 3 generations the same family of blenders is guarding the consistency of the production of the world-famous sparkling wines. Since late 1980s the brand tied its promotion with equestrian and motor sports, including the 24 Heures du Mans and the Paris–Dakar race. Building the marque and following the initial thought of Monsieur Bouvet – to expose and immerse people in arts – led to opening the Centre d’Art Contemporain (the Contemporary Art Centre) with many successful exhibitions, as well as creation of breathtaking Cathdrale Engloutie (The Sunken Cathedral) carved in the caves of Loire Valley, now officially listed by UNESCO as a World Heritage Site. 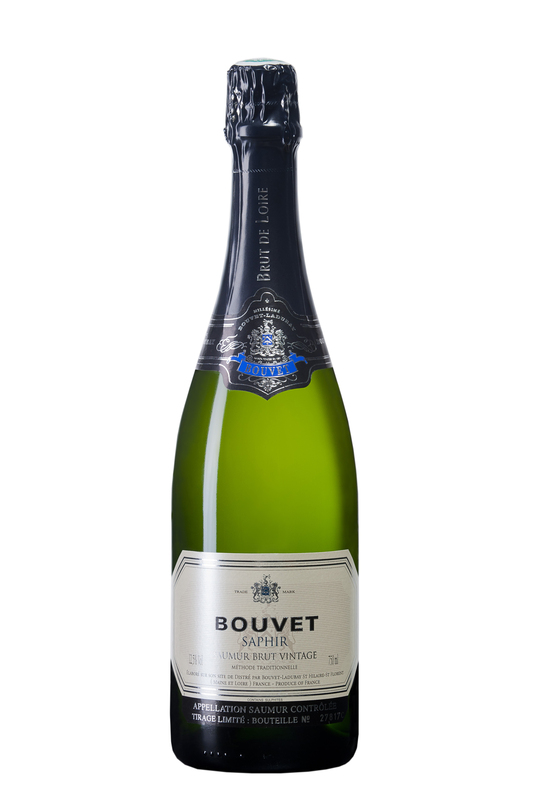 Bouvet Saphir Saumur Brut Blanc Vintage – Pineapple, nutty (almond) & peach blossom on the nose. Fruity entrance. Def peach flavour. Smooth mouthfeel. Fine bubble. Fresh zingy lingering finish.